After two weeks of anticipation, Cedric Alexander and Hideo Itami finally went toe-to-toe for the Cruiserweight Championship. With an even more obnoxious Hideo Itami interrupting matches and defeating Buddy Murphy and Mustafa Ali in a triple threat match a few weeks ago, Itami earned his right to take on Alexander. Will Itami end the Age of Alexander? 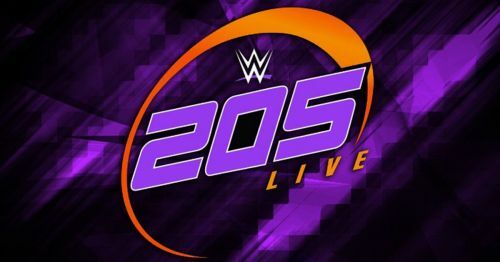 A hype package played at the beginning of 205 Live, reviewing the action over the past month along with Hideo Itami's arrogance. As Lucha House Party stood in the ring, Tony Nese came out to the ramp followed by Buddy Murphy, who was one week out from his barn-burning performance with Mustafa Ali. A spry Kalisto got in the head of Nese, using his speed to avoid the Premier Athlete. The two men then traded handsprings and backflips attempting to avoid each other's offense. Kalisto finally took Nese down with his handstand head scissors followed by a dropkick. However, As he attempted to launch himself through the ropes for a cross body, Nese caught him, setting him up in the corner for a kick to the sternum before landing a suplex. Nese then locked in body scissors around the Lucha Dragon while taunting the crowd. Kalisto fought out after turning the hold into a pinning attempt, catching Nese with a kick as he broke out. Kalisto then rolled to the apron, flying through the air with a seated senton then a springboard spinning elbow. The former Cruiserweight Champion landed a series of kicks on Nese, then launched himself from the ropes with a springboard cross body. Nese kicked out at two. Nese attempted to take down Kalisto, but the luchador rolled him up with a schoolboy kick. Kalisto attempted to finish off Nese with a running kick, but Nese countered, then countered a Salida Del Sol into a powerbomb into the corner, leaving the former champion in a daze. As Nese and Murphy went to harass the rest of Lucha House Party, Kalisto dove over the top rope to take out Nese. Before he could follow his opponent back into the ring, Murphy took out Kalisto, forcing a DQ loss for Tony Nese. After a brawl, Nese pulled Murphy away from the ring while Lucha House Party stood tall. 205 Live GM Drake Maverick was seen backstage with Noam Dar. Maverick said that Dar, without any more distractions, will make a great impact on 205 Live. TJP interrupted their meeting, asking for a rematch. Maverick told the CruiserGreat that he and Dar will go one-on-one again next week on 205 Live.